A few years ago, I gave up plastic for a week for a story. 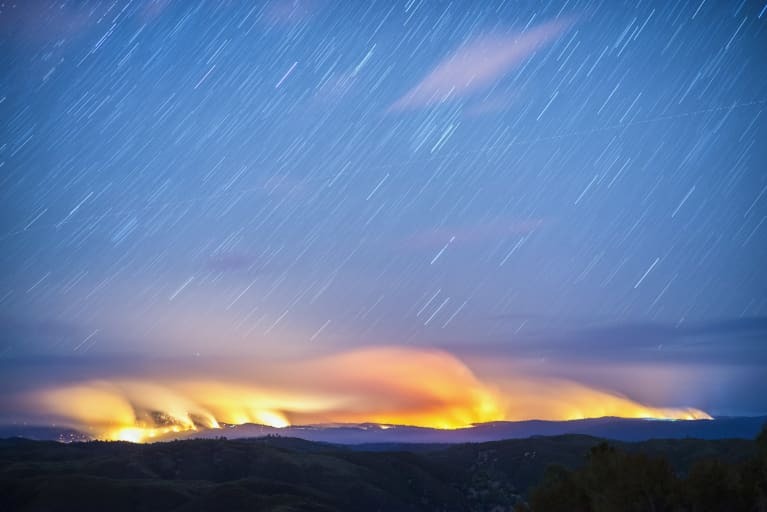 I already lived a relatively eco-friendly existence, so I didn't think it would be too hard. Well, those seven days proved a disturbing reality check. 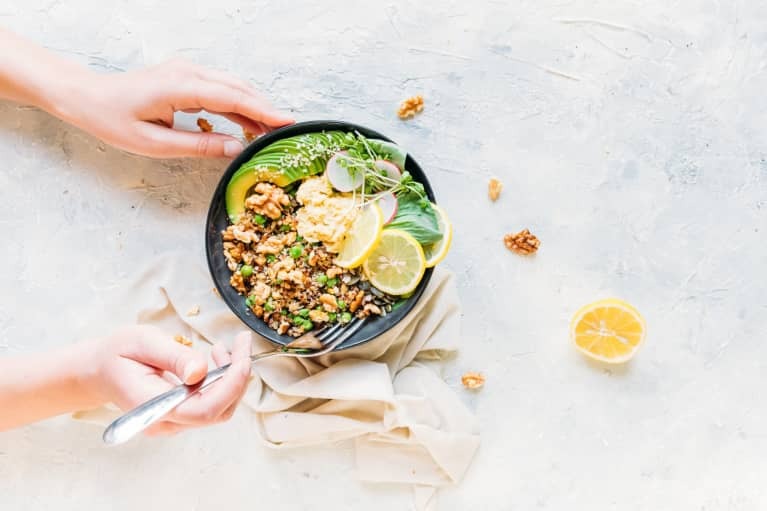 While items like plastic to-go cups and takeout containers were pretty easily avoidable, the packaging around food and beauty products was nearly impossible to escape. That mini challenge opened my eyes to a reality that I always suspected was true: An overwhelming majority of the products I was buying came with unnecessary plastic on the side. Chances are yours do too. Today, packaging materials make up the largest market for plastic, accounting for nearly half of the plastic waste around the world. 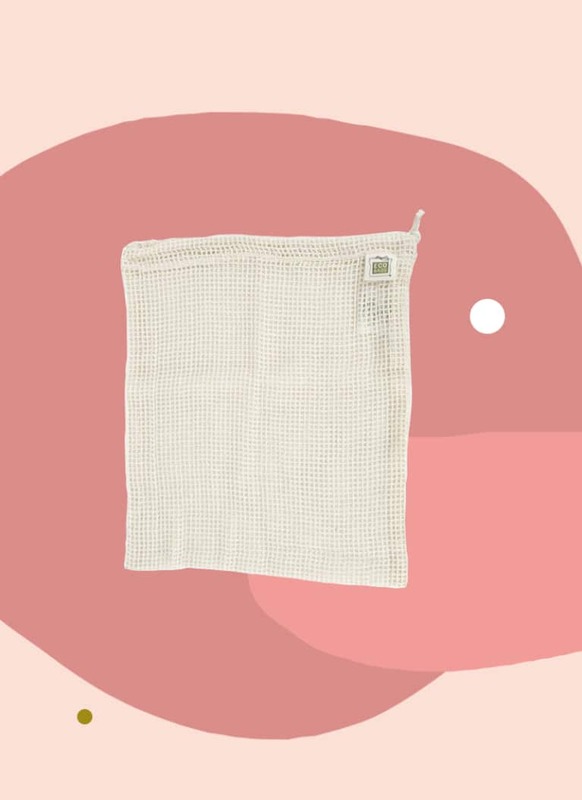 I'll be honest: I haven't kept up with a plastic-free life since that fateful week, but I've armed myself with a few products that make eco-friendly shopping more second-nature. 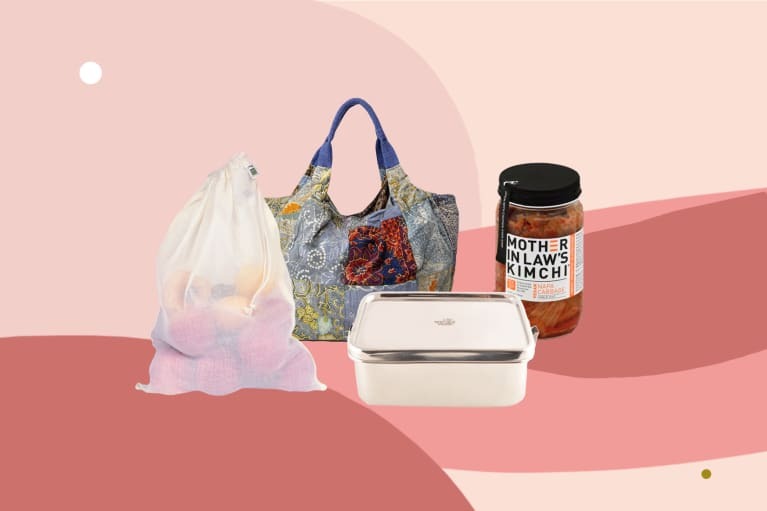 Here are my top picks, along with tips and tools that leading eco-friendly lifestyle experts swear by when they shop. Keep them in a bag near your front door so you remember to take them with you to the store or farmers market. 1. Bags for loose veggies. 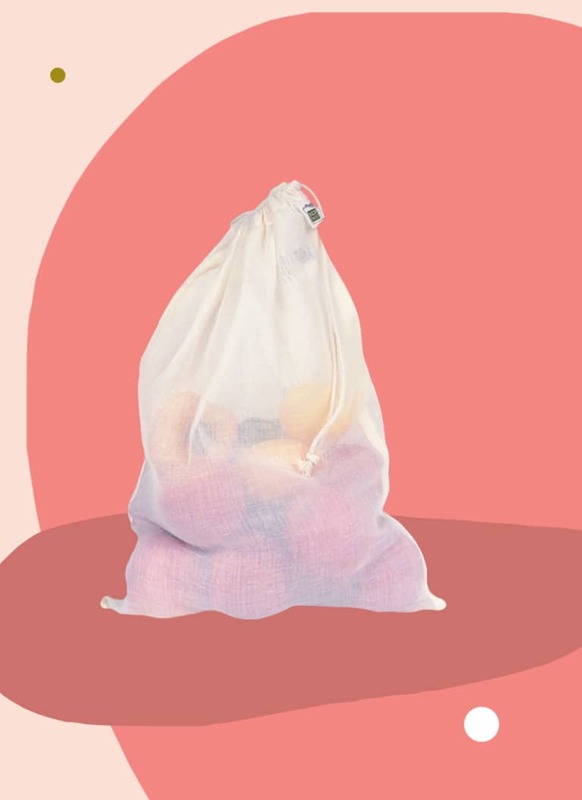 These string bags are staples on my weekly grocery shopping trips, and they totally eliminate the need for plastic produce bags. I'll usually bring three or four along with me and use them to store small, loose produce like Brussels sprouts, spinach, lemons, and limes. (I just chuck larger fruits and veggies directly into the cart and wash them when I get home.) They're also great for holding herbs—and I've found they tend to help them keep longer in the fridge. Their size and flexibility make them great for travel too, and I usually use them to store cosmetics when I'm on the road. 2. Lightweight bags for nuts and bulk bin foods. I don't love bringing Mason jars to stores because they're so bulky and I get worried they'll break in transit. For bulk bin food items, I'll use transparent, lightweight cotton bags instead. They're easy enough for cashiers to see through and typically don't need to be weighed and tared the way heavier storage does. 3. 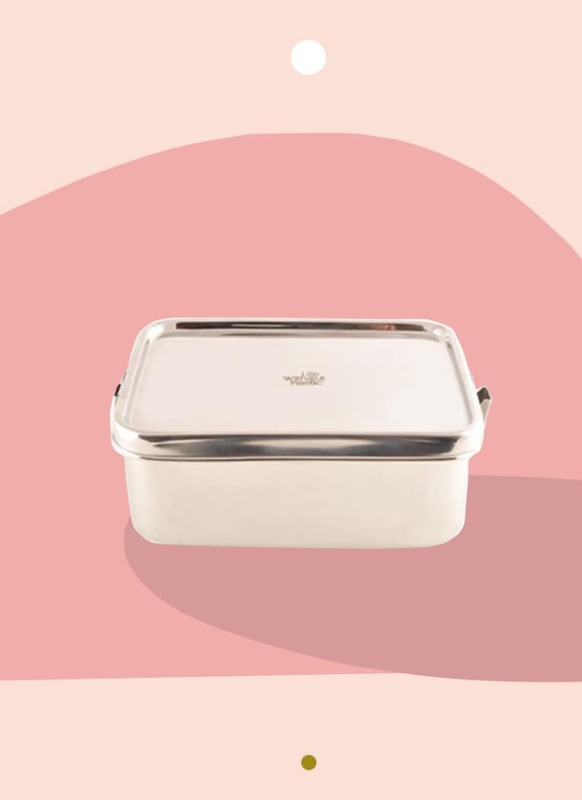 A metal container for meat and wrap for cheeses. If you buy meat often, head to the deli counter and ask them to put your selection in a metal storage container instead of getting the prepackaged stuff. These ones from Life Without Plastic are great because they're easy to clean out and can be placed straight in the oven when it's time to get cooking. 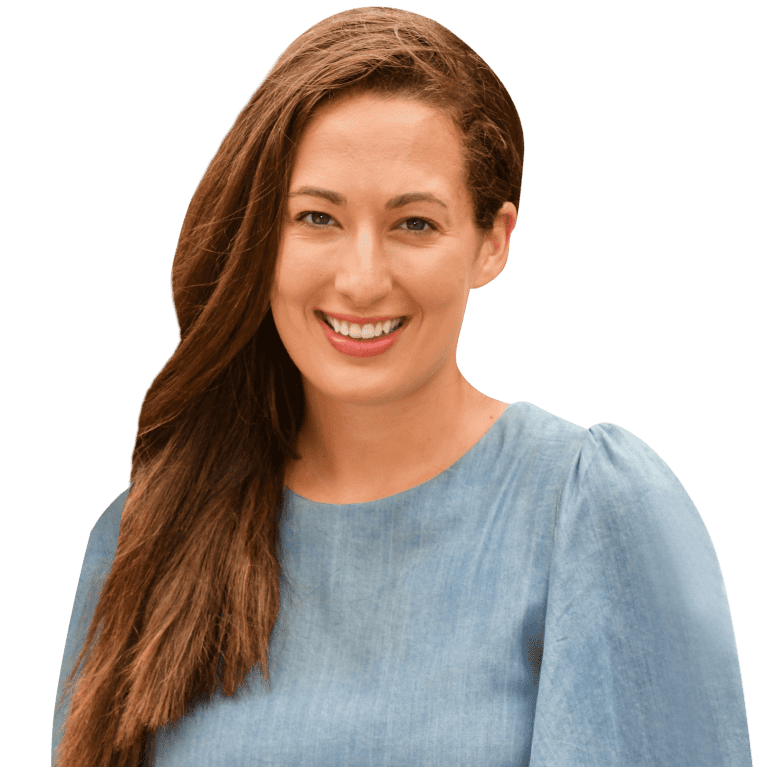 Sacha Dunn, CEO of Common Good, recommends asking for your cheese to be stored in Bee's wrap, a reusable casing made from beeswax and organic cotton. 4. Get creative when it comes to specialty items and spur-of-the-moment purchases. Buying bread? 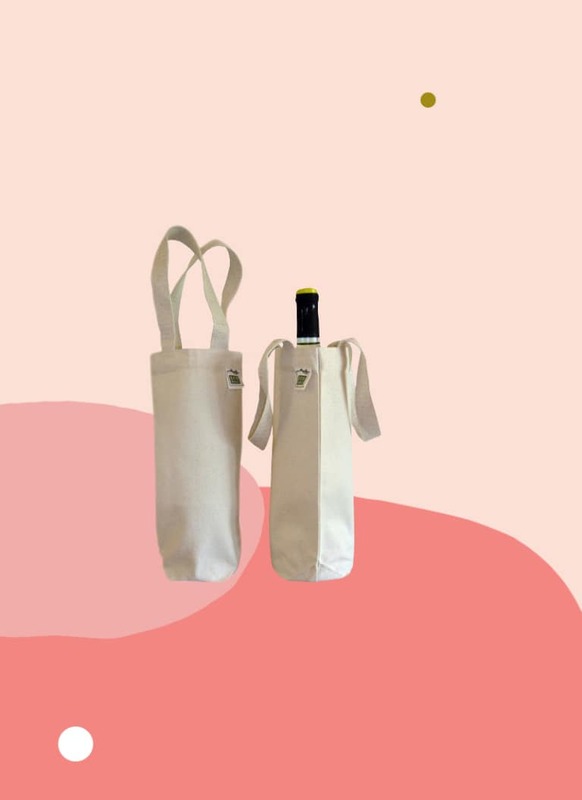 This wine bag made of recycled canvas would be the perfect storage tool. Need to wrap leafy greens so they don't get damaged? Try putting them in a dish towel. Even pillowcases can make great carriers for larger items. And for those moments that you're caught off guard, you can get a little creative with the clothes on your back. "Now and again I’m caught unprepared, grabbing a few groceries on the way home. For those times, I’ve gotten a bit creative by transporting fruit in the kangaroo pocket of my hoodie, or rolling it up in my shirt... My husband sometimes takes his shirt right off when he forgets a bag and uses it as a makeshift sack—but you have to be a special kind of person to do that!" 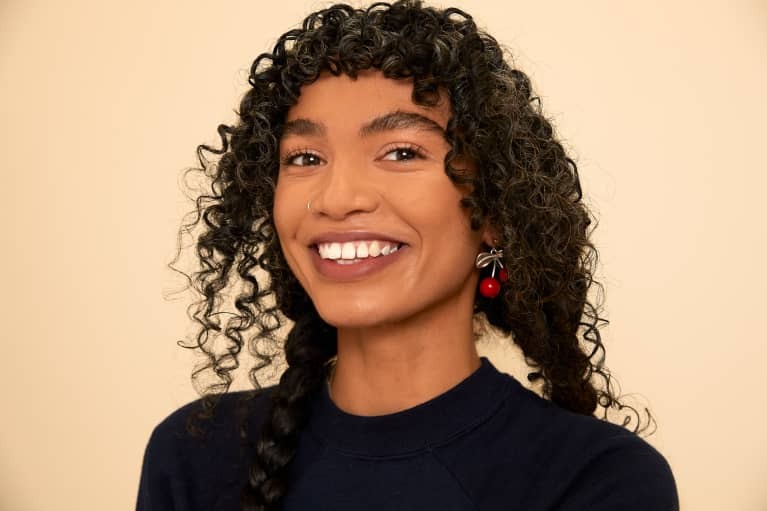 jokes Holly Rose of green lifestyle blog Leotie Lovely. 5. Go for glass where possible. 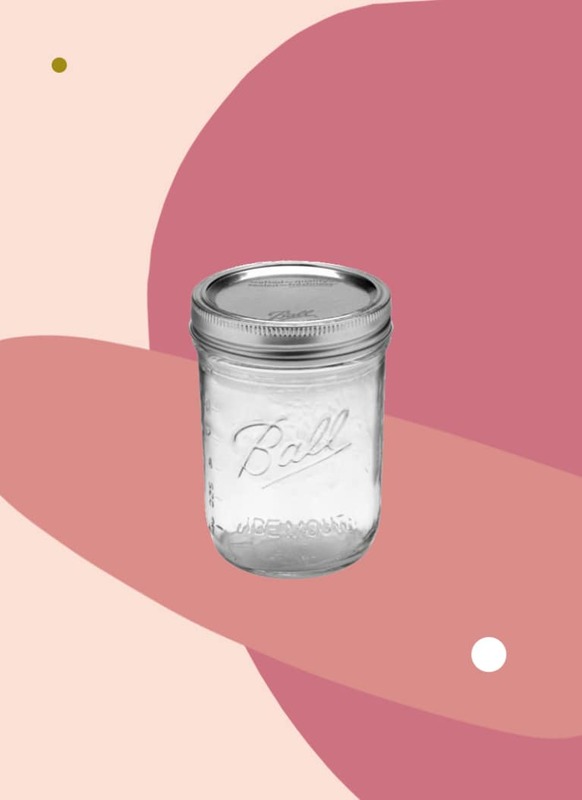 Take a cue from Kaméa Chayne, host of the Green Dreamer Podcast, and look out for glass jars that can be cleaned and reused. 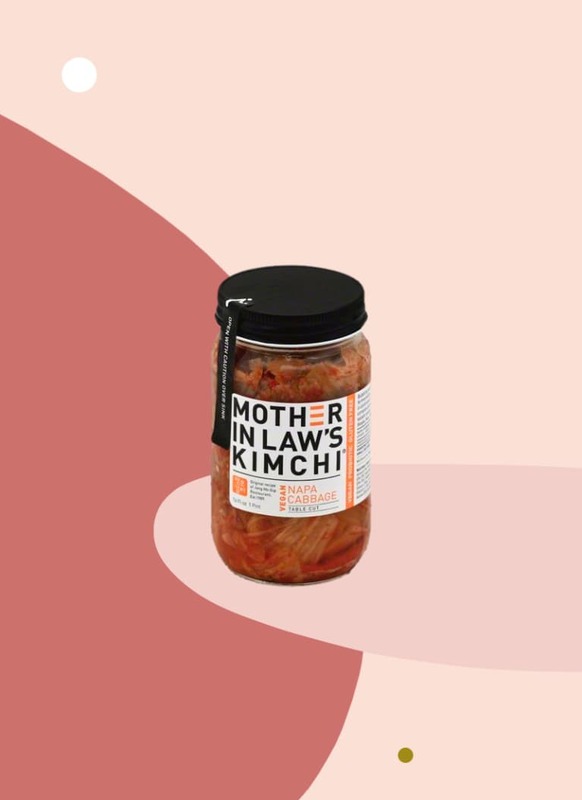 "Kimchi and sauerkraut (gotta get those probiotics!) have become a must in my diet. I usually buy them in glass jars and have accumulated various leftover jars that I now take with me to the farmers market to carry nuts, dried fruits, and legumes," she says. 6. Explore the ever-expanding world of bulk items. These days, you can find everything from deodorant to salt scrubs to detergent in the bulk bin aisles of specialty stores. Next time you're in the market for some of these items, make a special trip and set out equipped with Ball Mason jars. "To this day, this is my favorite jar brand as they are sturdy, heat-resistant, and easy to store," says zero-waste blogger behind The Wasted Blog, Florine Hofmann. "They already have the measurements on the jar so you can buy exactly the amount you need." Everybody loves a good sample—but the little plastic containers they come in? Not so much. 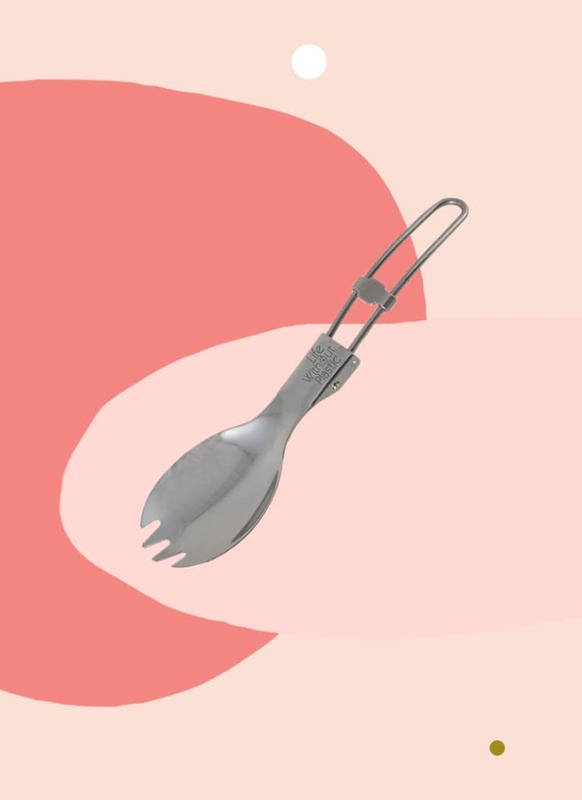 Hofmann recommends packing a stainless-steel spork in your shopping bag so you can still taste test. 8. Throw it all in a large tote. .Never underestimate the power of a massive grocery bag that can fit all your storage odds and ends. 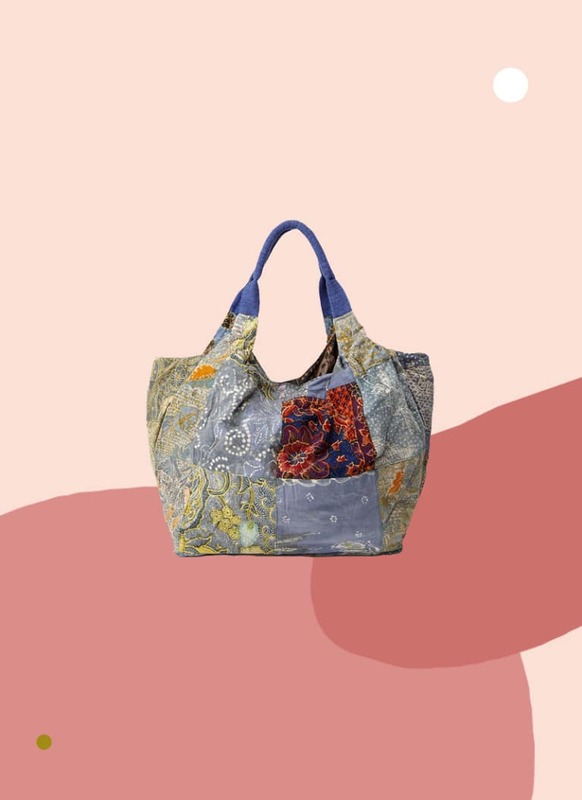 I use this upcycled one from Uncommon Goods, and it makes lugging a week's worth of groceries across downtown Manhattan a little more pleasant. It fits a ton and is my version of Mary Poppins' magic bag—just filled with veggies and nut butters. 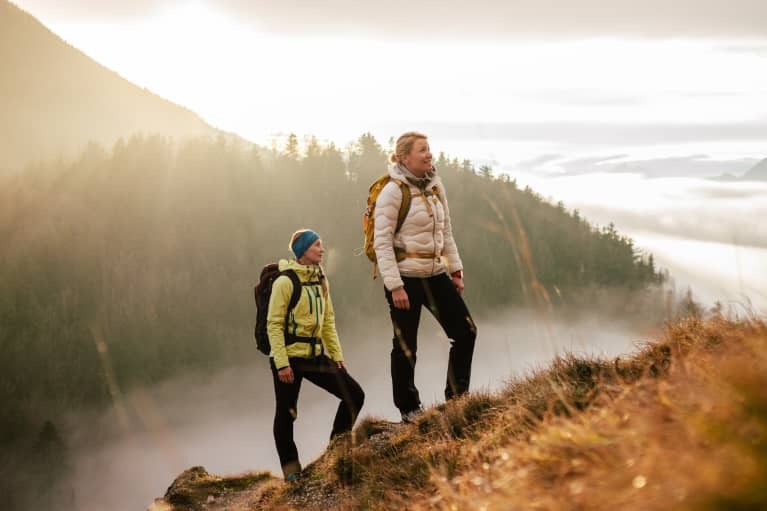 These three female-founded companies are leading the charge to fight plastic waste.